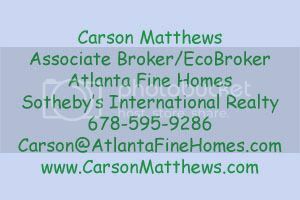 Here is the Atlanta Green Home Sales Report for the 1st six months of 2012. These numbers are very strong with Certified green homes selling at almost 100% of their list price, a 5.6% higher value than conventional new construction homes. This report is based on new construction homes built 2010 or later in Fulton, DeKalb, Cobb and Gwinnett Counties priced between $250,000 and $2,000,000. All findings are based on Median numbers. 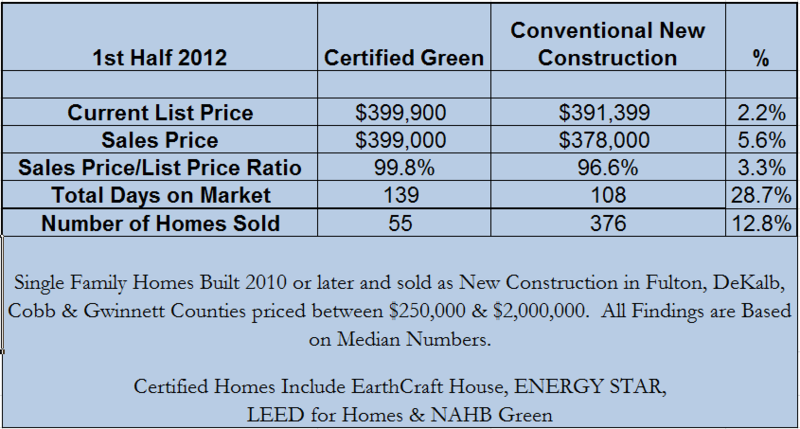 The Green Certified homes include the following programs: EarthCraft House, ENERGY STAR, LEED for Homes and NAHB Green.